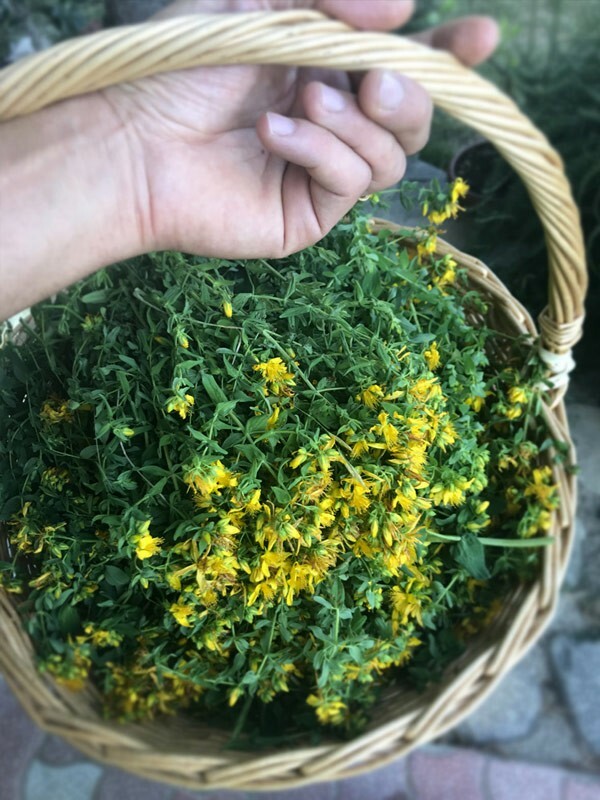 In the past, St. John's wort was nicknamed "the herb that drives devils away" because of its ability to free people from depression and bad thoughts. Today in Germany it is the most used natural remedy in place of psychotropic drugs. Produced and cultivated by our farm! In the past, St. John's wort (Hypericum perforatum) was nicknamed "the herb that drives devils away"
This herb was said to have the magical power to free places and people from evil thoughts, to hunt away real demons: hung on the door, on the roof of the house, or directly on the skin. It seems that the first to discover its beneficial properties on the mood were the Knights Templars. Today, St. John's wort is recognized by traditional medicine as an excellent natural remedy to improve mood, combat anxiety and sleep disorders. Infusion. It is prepared by leaving a teaspoon of St. John's wort in a cup of boiling water for 10 minutes. Then, filter and drink. You can take this herbal tea up to three times a day. Do not take if you already take drugs for anxiety, panic attacks, depression, insomnia, nervous breakdown, since it interferes in the work of many of them. After drinking a St. John's wort tea, avoid sun exposure! In case of people with light skin and eyes, the intake of St. John's wort can cause photosensitivity phenomena, with the appearance of erythema and burns in the parts exposed to the sun. For this reason, direct exposure to sunlight should be avoided when following a treatment based on St. John's wort. It is not recommended for breastfeeding and pregnant women. Do not exceed the recommended daily dose. Keep out of reach of children. Store in a cool and dry place.